Because our jobs are taxing and arduous, we Byrdie editors spend a lot of time trying new beauty products—and then judging them harshly. (Kidding, of course… about the arduous part, not the judgment part. You know how choosy we are about beauty.) But because so much of a beauty editor's job is to report on the newest trends and technologies, we don't always get the chance to chat with our readers casually about what we're using and loving in our personal lives at the moment. That's where this list comes in. Every month, we're going to take a minute to spill about what beauty and wellness endeavors we're digging in real time. These products and practices might not be new or particularly hip, but they are genuinely what we're talking about in the office and what we recommend you try too. Nothing's off the table: weird makeup techniques, sleep devices, fitness habits, Instagram accounts, even theoretical ideas. If we're loving it, we'll be talking about it here. Keep scrolling to discover the beauty favorites on our minds this month. "Over the last few months, I noticed I was feeling more stressed than usual. My routinely sunny disposition had diminished and in its place was anxiety, sleeplessness, and feelings that left me overwhelmed at work and in my personal life. To remedy (I fancy myself more go with the flow and less frazzled and tense), I did some research to help pinpoint the problem and, thus, solve it. "First on my list was a new mattress. A recent study concluded a new, firmer mattress results in a significant decrease in stress. I immediately gave the new Eight Sleep Tracker a try. It's a sensor layer that fits over any mattress and instantly turns your bed into a smart bed. You can use it in conjunction with the Eight Smart Mattress (which I did), or you can put it over your current mattress. 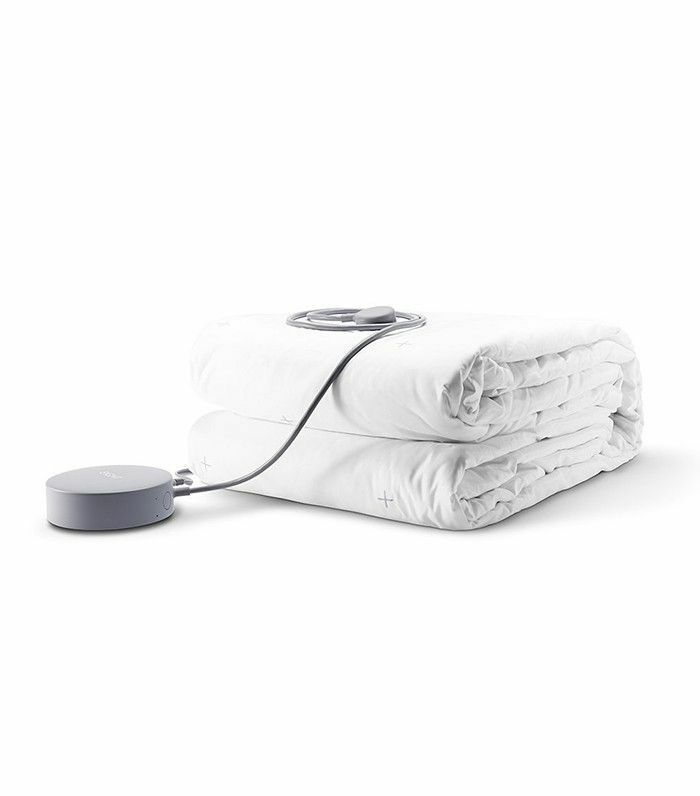 It's connected to a Wi-Fi–enabled pod that tracks your sleeping patterns and adjusts accordingly. Immediately, I felt relief wash over me as I woke up after the first night. The difference was palpable as I continued to use it each day in the coming weeks." "Still, I felt unfocused in a way I wasn’t accustomed to. Researchers at the Princeton University Neuroscience Institute conducted a study in The Journal of Neuroscience that mentions clutter and unorganized living, and the way it impacts your life and ability to focus. Essentially, they found that clutter (while both annoying on a daily basis and embarrassing with company) also limits your brain’s ability to process information. 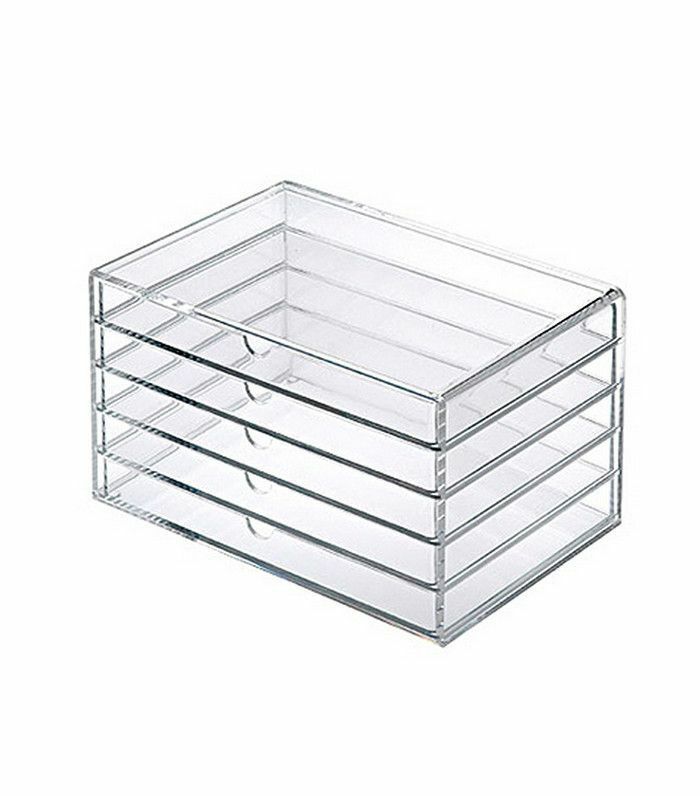 I invested in a few new storage options (mostly for my beauty products because I'm a hoarder) and feel like the air in my apartment has opened up. It's more pleasant to sit and do work when your space doesn't feel like it's closing in on you." 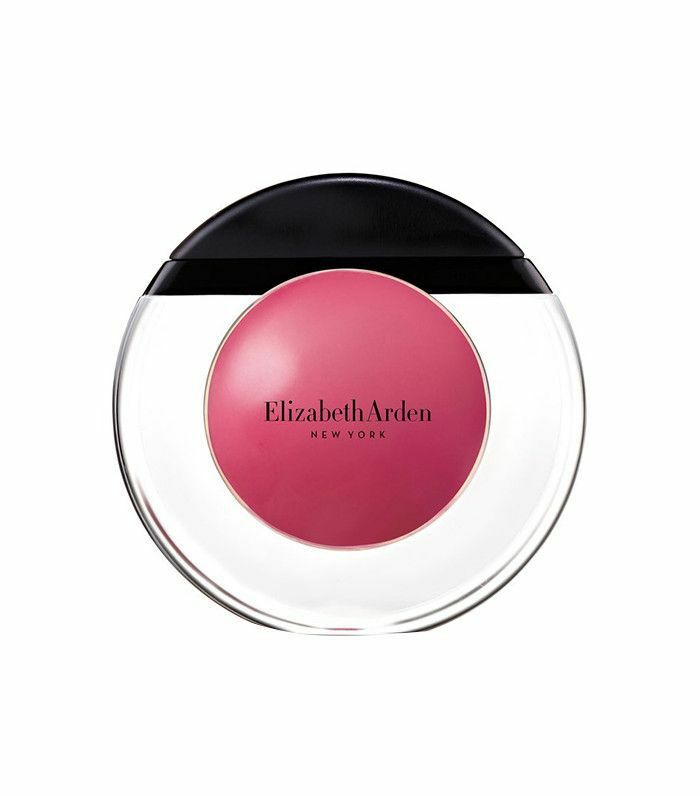 "Elizabeth Arden's Sheer Kiss Lip Oil in Heavenly Rose ($20) is my latest barely-there lip obsession. 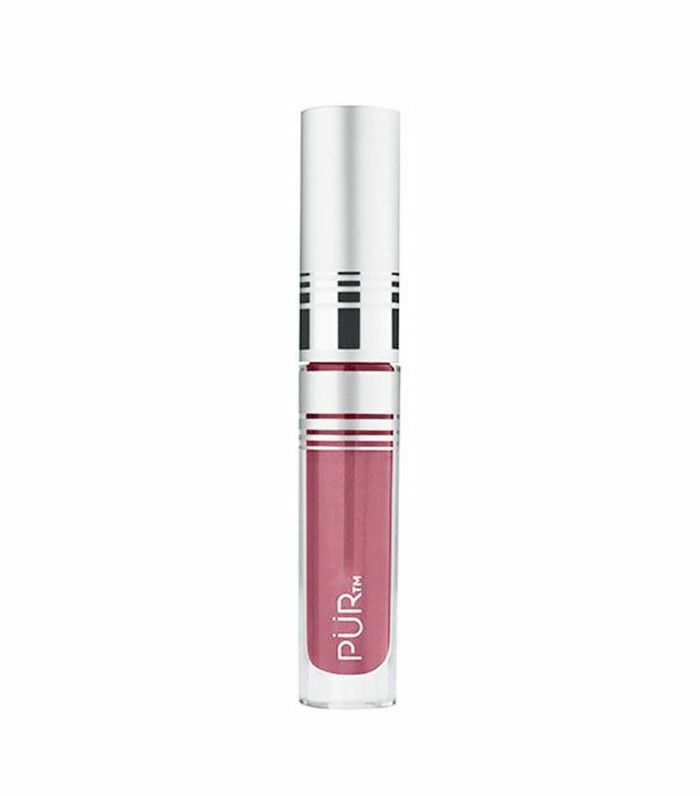 The balmy, creamy formula dispenses easily, and I use my finger to lightly press the pigment into my lip and blend it out. It's that Popsicle-stain, melty look I've always wanted to achieve but haven't had the product to do it with. I wear it every day with a bare face, and it looks like my lips but better (or, more appropriately, after a frosty Popsicle treat)." 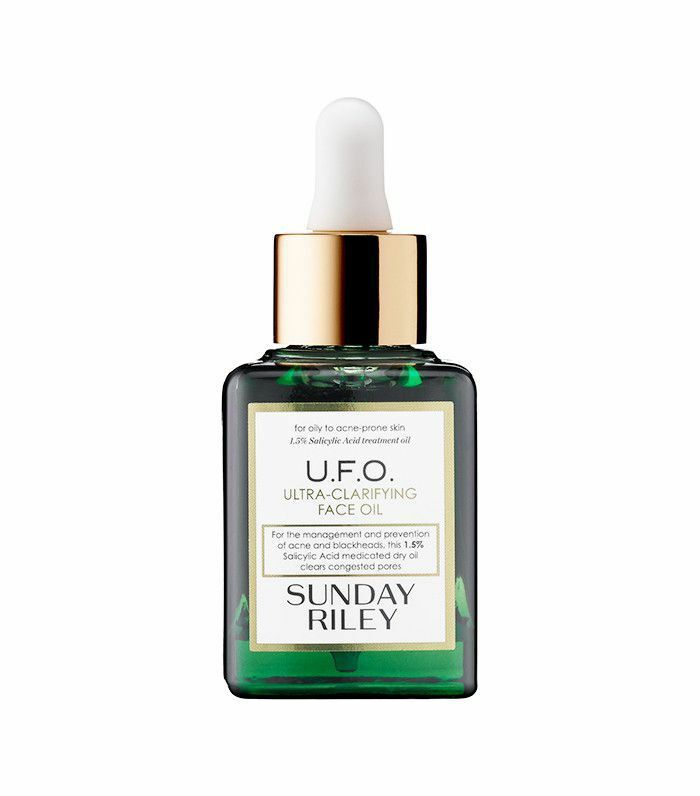 "Sunday Riley's U.F.O. never fails me. It's the salicylic acid serum in the green bottle. It fixes everything; it's a miracle in a bottle for clear skin. That's the only way I know how to describe it. No matter what time of year it is or what's happening in the world, I'll always be into that." 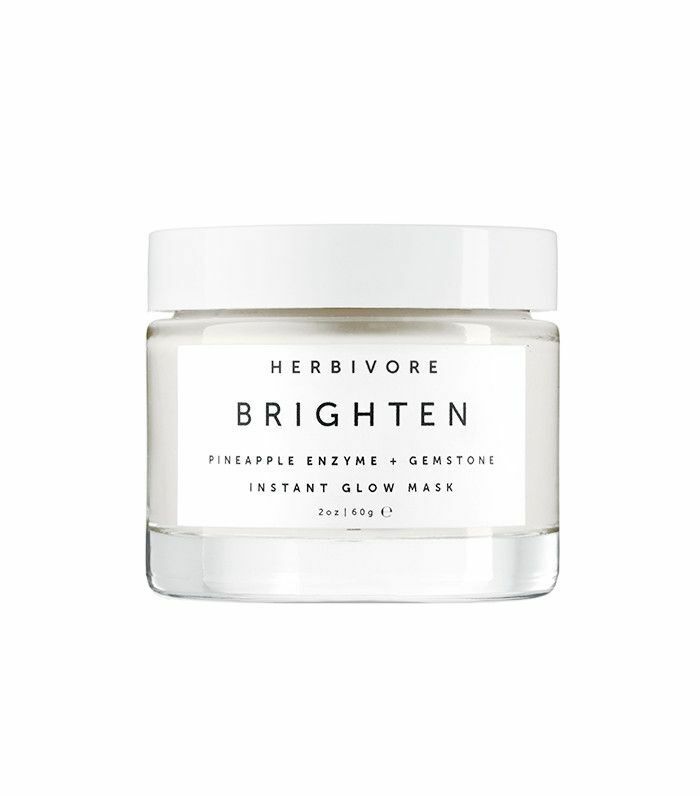 "Something else I'm really feeling right now is the Herbivore Botanicals Brighten Mask. I put this mask down for a little bit, and I think their Blue Tanzy mask gets all the credit. But this mask is the unsung hero of the brand. Just putting that out there." "For the first time, my boyfriend and I are going to try to keep Passover. (Happy Pesach!) We've gotten all the wheat, gluten, and bread out of our home. This morning I didn't have any bread when I normally do, and I feel a lot more awake and have more energy. So I'm finally starting to understand the gluten-free life a little bit more. (I make a killer matzo grilled cheese, by the way—with Muenster, duh.)" 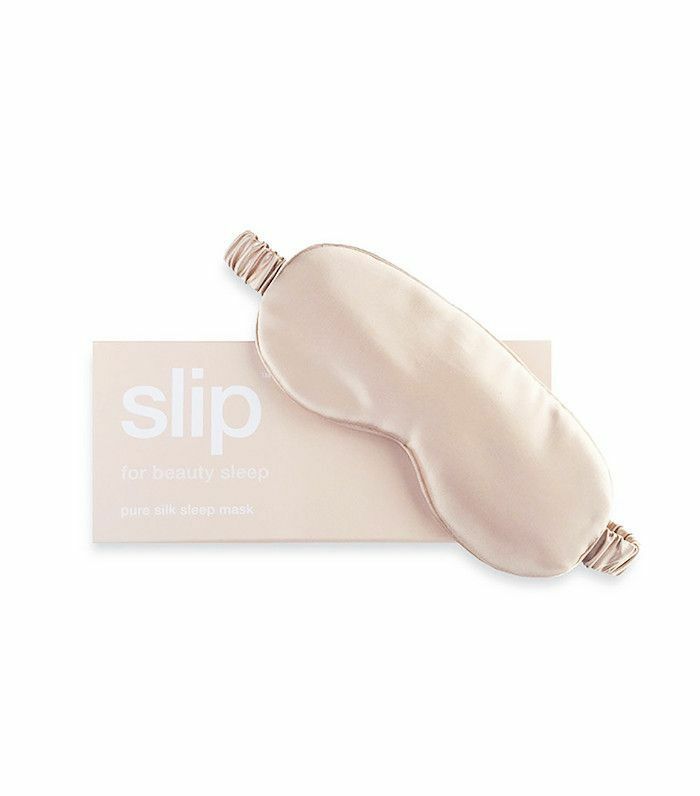 "A few months ago, I started sleeping with one of these chic little eye masks every night, and even though it makes me look like the crazy mom from Matilda (remember her? ), it is seriously one of the best decisions I've ever made for my sleep health. Wearing this tricks my brain into thinking it's the middle of the night from the second I lie down to the second I wake up, and this knocks me out immediately and makes me sleep deeper than a hibernating grizzly. Delightful." "I've been shouting this new makeup technique from the rooftops for weeks, and there's no stopping me now. Jude Law's teenage daughter, who's now a Burberry model, taught me about this hack, and it's truly genius. I wear a whipped liquid lipstick in some pink color almost every day now, and the compliments just roll in—the color payoff and staying power are better than most actual cream eye shadows you'll find." "This cleanser is a classic beauty-editor favorite, but I'd never actually tried it until Byrdie's news editor Victoria and I were assigned to swap beauty routines for a week. (Read all about that here.) 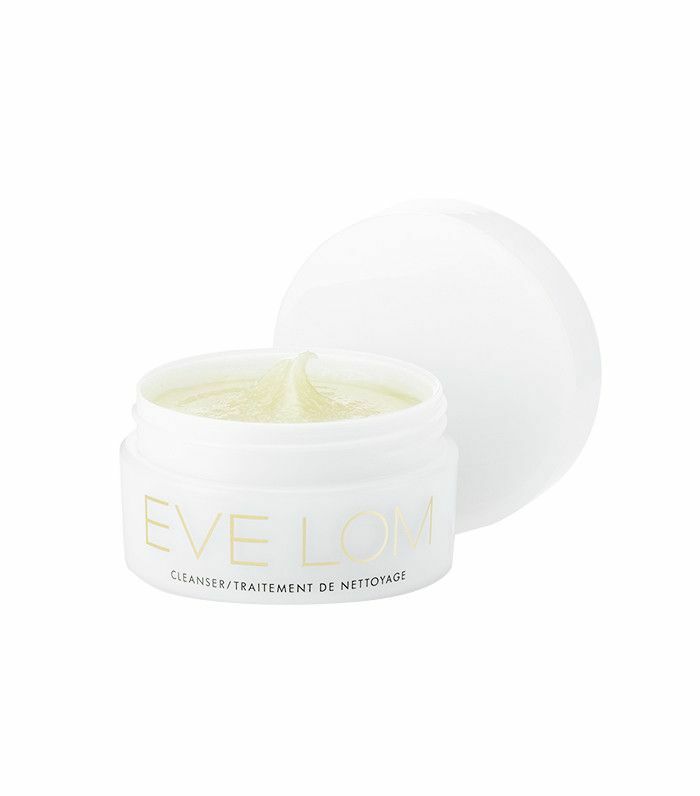 This cleansing balm was one of my favorite parts of her routine—it removes my makeup effortlessly, leaves my skin illogically soft, and has a subtle chamomile scent that I just can't quit." "A vegan YouTuber I like uses this website to track whether or not she's meeting her nutrient goals throughout the day. I'm also vegan, and out of curiosity, I've started doing the same thing. It's been very enlightening—I've learned that on average, I need to be getting a little bit more calcium, iron, potassium, and vitamin E. I've also learned that whoever thinks vegans are protein deficient is officially dead wrong—I've been meeting my daily protein requirements every single day by lunchtime without even trying!" "I'm all about self-tanner, and especially after discovering I had precancerous moles and major sun damage, my days of baking in the sun like a piece of fried chicken are long gone. Another thing I'm on board with? In-shower body lotion. I hate applying lotion post-shower because I always feel super greasy and slick, so being able to rub it right in with the water and towel-dry off the residue is a welcome invention. So, as you can imagine, I was delighted to discover that Jergen's latest innovation is a hybrid of both of these products. "Admittedly, I was a bit skeptical at first and didn't think much color would show up given the fact my body was dripping wet during the application, and I was concerned it would stain my all-white bedding and towels. I'm happy to report, however, that a bronzy glow did appear on my skin but not on any fabric. I started with the light-medium option, but the color is a bit too subtle for my liking, so I'd like to give the medium-tan option a go. (For what it's worth, I'm very fair-skinned, so if you're worried about looking too tan after using this, don't be.)" "I've been simultaneously wary of and excited about trendy sweating places ever since I tried out Selena Gomez's burrito-style sweat bed in L.A., which is why I keep asking everyone I know about Higher Dose. From what I've heard, it's NYC's version of Shape House, except instead of getting wrapped up, you sweat in an infrared sauna. Honestly, anything that promises to detox my body and give me better skin without actually doing anything (supposedly, you just lay there and, you know, sweat) sounds extremely appealing, so I'm determined to check it out soon. 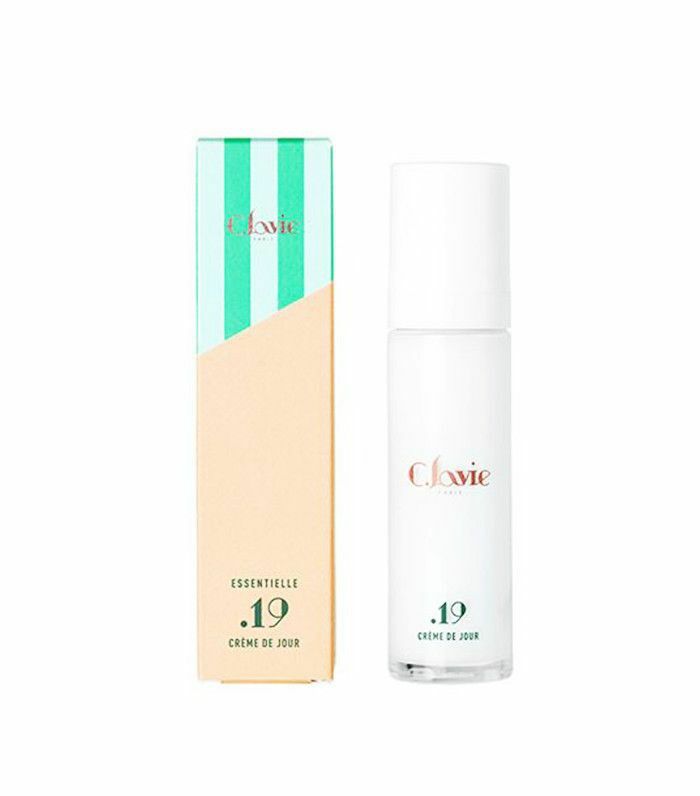 "I'm a sucker for a beauty product with good ingredients and even better packaging (I talked about some current faves on Byrdie's Instagram here), which is why I'm currently obsessed with indie French brand C.Lavie's moisturizer. The first thing I do when a new skincare product comes across my desk is look at the ingredients list. I'm a tough critic; if there are sulfates, parabens, or too many ingredients I don't recognize (or can't pronounce), it's out. Thus, when my friends at The Detox Market showed me this chic little product, I was immediately intrigued. A mostly organic ingredient list (the first ingredient is rose water and second is jojoba), cute packaging, and it's French? Say no more—my face is ready for it. Stay tuned for a full review. Yes, I love it that much. " "Recently, I've started dry brushing. (For those unfamiliar, this is an old Ayurvedic wellness practice, where a soft-bristled brush is rubbed against dry skin.) After hearing about the long list of benefits—which include exfoliation, lymphatic detoxing, and increased circulation—I had to try it out for myself. I start with small, gentle brush strokes on my arms and legs, always brushing toward the heart. I make sure my skin is completely dry before doing this; otherwise, it isn't as effective. 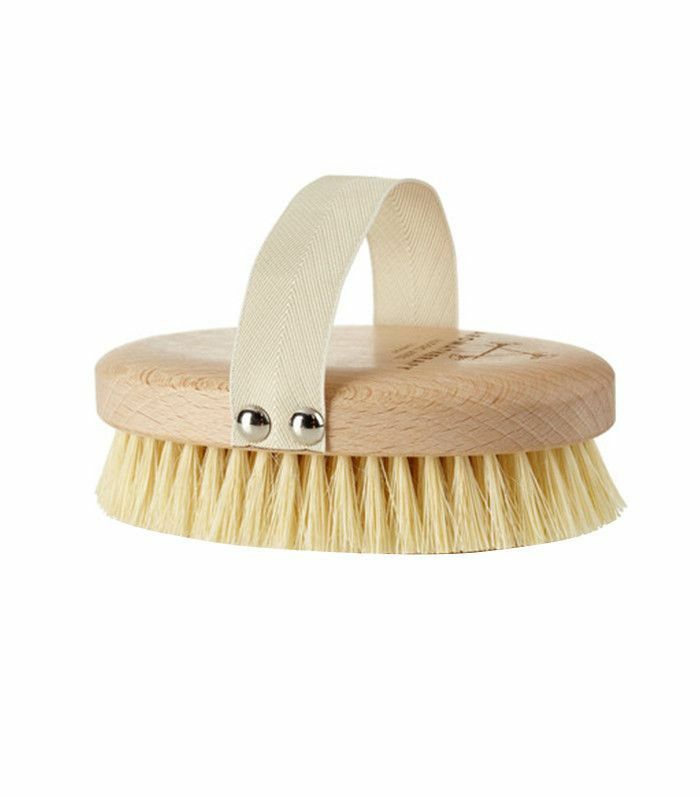 Plus, if the brush is dry, it's easier to tell if you're brushing too hard and keep unwanted irritation at bay. "It only takes me a few minutes to run the brush over my arms and legs. Immediately afterward, I shower. Finally, I moisturize with virgin coconut oil. Not only is it making my skin incredibly soft and smooth, but it’s also an added luxury in my day." "First, I use an oil. Sometimes it's DHC's Cleansing Oil; other times, it's pure coconut oil straight from Trader Joe's. I massage it into my skin, paying special attention to stubborn eye makeup. Once the oil has disintegrated all cosmetic traces, I rinse and follow it up with a gentle foaming cleanser like Dr. Bronner's Pure Peppermint Castile Soap ($10). Now I can sleep peacefully knowing my skin is truly clean." "Since moving to Los Angeles, I've noticed my daily allotment of steps has decreased, while my online shopping habits have increased. In an effort to get more exercise and shop less often, I have decided that I can only buy a clothing or beauty item if I walk or run to get it, which is perfectly reasonable considering I live just over a mile away from a major shopping center. Instead of scrolling through websites looking for new items to buy, I throw on some workout gear, walk to the store, and window shop. While I half expected to buy just as many items at the store as I did online, I found that I am much more restrained when it comes to shopping in person. Plus, I no longer have to deal with parking, and that in and of itself is pretty great." What's one of your favorite beauty things of the moment? Tell us in the comments below!